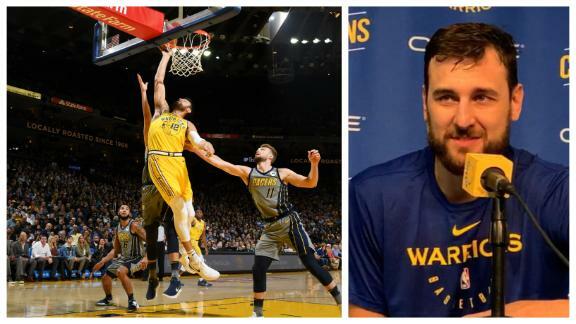 News: 5 days agoBogut amassed eight points (4-7 FG), 10 rebounds, and four assists in 21 minutes during Sunday's 113-105 victory over the Clippers. Spin: Bogut managed just 21 minutes before fouling out Sunday but was still able to leave his mark on the game with eight points and 10 rebounds. He continues to thrive as the starting center and has certainly been a nice addition for the Warriors. He doesn't have the upside of a player like DeMarcus Cousins (quad) but is a perfect fit for the uptempo Warriors offense and should continue to see solid minutes for the remainder of the playoffs.